Du began the work as a graduate student at the George Washington University. 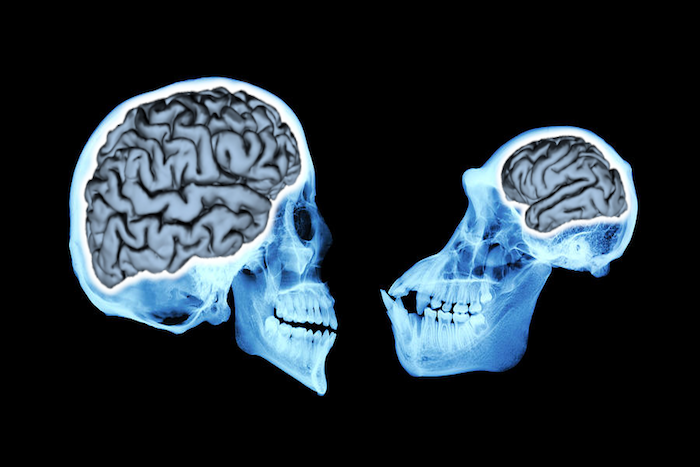 His advisor, Bernard Wood, GW’s University Professor of Human Origins and senior author of the study, gave his students an open-ended assignment to understand how brain size evolved through time. Du and his fellow students, who are also co-authors on the paper, continued working on this question during his time at George Washington, forming the basis of the new study. The study, “Pattern and process in hominin brain size evolution are scale-dependent,” was supported by the National Science Foundation. Additional authors include Andrew M. Zipkin from the University of Illinois at Urbana-Champaign and the George Washington University (GW); Kevin G. Hatala from Chatham University and GW; Elizabeth Renner from the University of Stirling, Scotland and GW; Jennifer L. Baker from the Center for Research on Genomics and Global Health, National Human Genome Research Institute, National Institute of Health and GW; and Serena Bianchi and Kallista H. Bernal from GW.